Pokemon Go is becoming one of the most playing games around the world. The reason is this game provides a lot of fun to its players. You can find Pokémon and can catch them which are very interesting. The game became more popular when different tweaks were released with its new updates. A lot of users use jailbreak to install the hacked versions of apps to get the extra features. New versions of Pokémon Go has been introduced named Pokemon Go++. This version has more features as compared to the simple version. You can have a view of your way and can change your views and locations from anywhere using the hacked version. 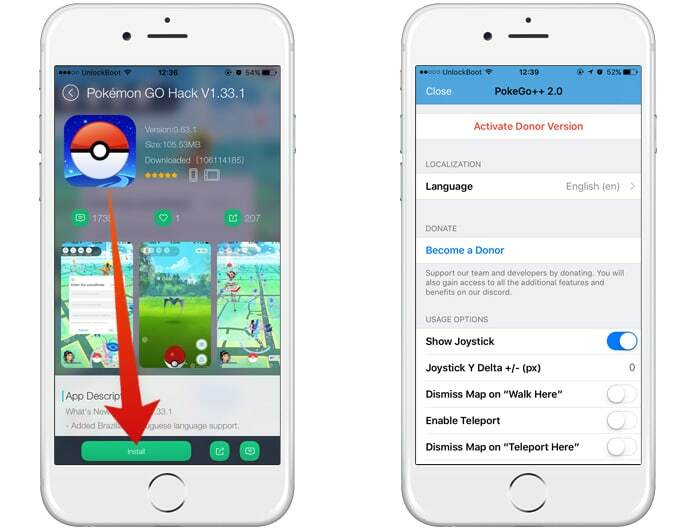 Follow our guide below on how to download Pokemon Go++ for iPhone without jailbreak. We know you are thinking that how you can download Pokemon Go++ for iPhone without jailbreak. The process is easy to understand and simple. The hackers use jailbreak to install such apps on their phones. However, most of the users don’t want a jailbreak as it is not always comfortable for all the users. You cannot jailbreak your iPhone, and you want to install Pokemon Go++ on your phone. Well, we have a solution for your problem. 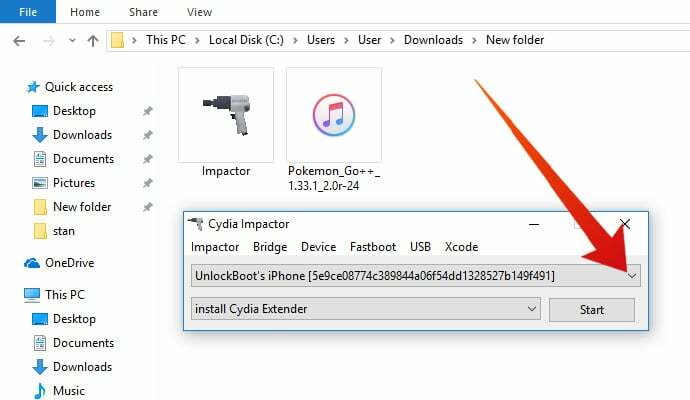 You can easily download Pokemon Go++ on iPhone by just using an app named Cydia Impactor. 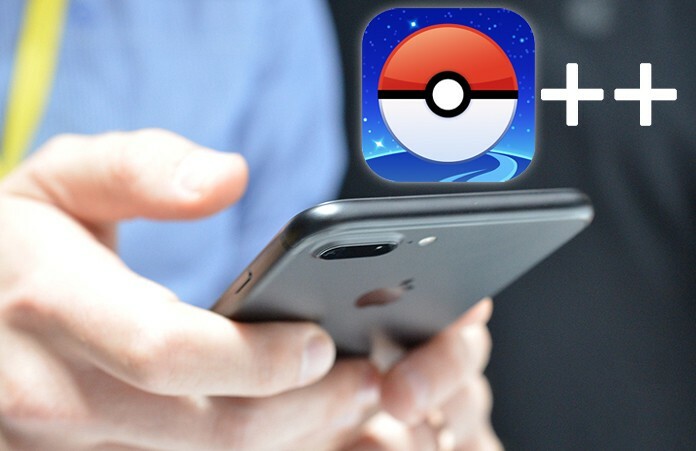 Below is the complete process of how you can download Pokemon Go++ on iPhone without jailbreak. To complete the installing process, you will need some stuff which is mentioned below. You can download and install Cydia Impactor from our website, and the IPA file of Pokémon Go++ is also available on our website. If you don’t have an Apple ID or if you don’t want to use your ID, you can get a new one. Here is how you can download and install Pokemon Go++ on your iPhone. 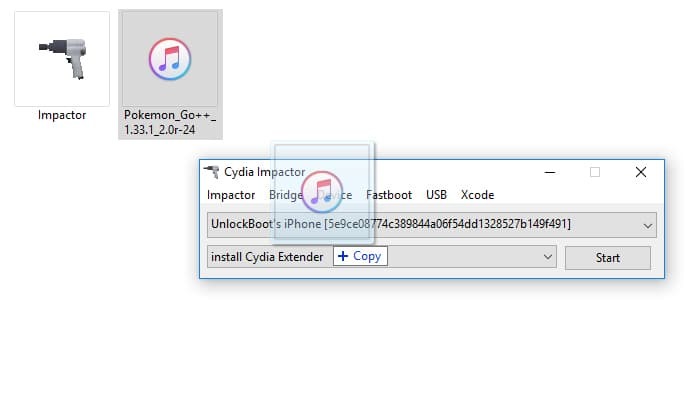 Step 1: First of all, download Cydia Impactor app to your computer or Mac. Step 2: Now install the app and open it. Step 3: Now get the IPA file of Pokémon Go++ app. Step 4: If you are running a other version of Pokémon Go++ on your iPhone already, uninstall it. Step 5: Now attach your iPhone a to your Computer or Mac using data cable. Step 6: Open Cydia Impactor and selected your connected device from the drop-down menu. Step 7: Now click and drag the IPA file to the Cydia Impactor app and click Start. Step 8: Now you will be asked to login for iTunes. Put your Apple ID in it and click OK.
You have done the installation process. Now all you need is to trust the app from your Settings app to use it properly. Open Settings app and under General, open Profiles & Device Management. You will see the installed app here. Now click on it and click on Trust. You can easily download and install Pokemon Go++ on iPhone without computer using TuTuApp helper. Follow the steps below to download TuTuApp on your device and install Pokemon Go++. Launch Pokemon Go++ on your iPhone to start using it. Now you can use Pokemon Go++ on your iPhone. Keep in mind that this game is controlled by its original developers through servers. If they find you are using a hacked version on your iPhone, they can block your account.